Earlier today information went viral on social media accusing Billionaire sports personality Amb. 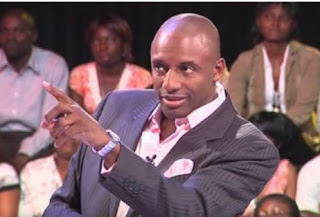 John Fashanu of been arrested over alleged land scam. It was revealed according to his media aide Micheal Richards that Fash was never arrested rather was invited to the police station over a sold land disagreement with his long time friend. The media aid disclosed that the owner of the land a local Chief duly sold the Land to Fashanu's friend who he linked to the deal genuinely and paid as agreed. But unfortunately, the friend returned that he was no longer interested in the land and needed a refund because the interest from the loan he collected to buy the property was way too high for him to pay. And he involved the police and Ambassador Fashanu was invited politely to the station. After about 4 hours of deliberation on the issue, Fashanu decided to buy off the land from him with the agreement of paying installmentally as he believed the landed property was in a very good location. The top soccer personality who currently heads the second biggest exclusive sports ch‎annel assured his fans and partners that there is no cause for alarm as all is well. It would be recalled that Fashanu has distinguished himself in his fields of endeavour including several laurels at his credit.